For the month of October we will be Scared Space Yoga! 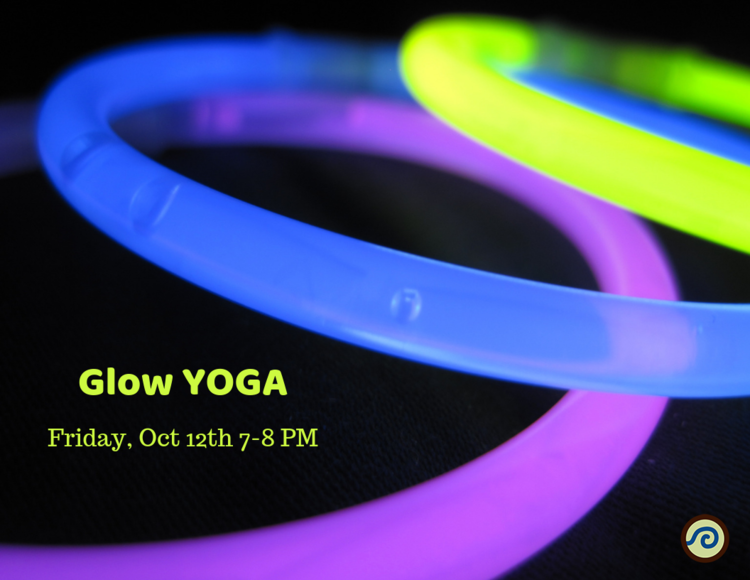 In honor of October and Scared Space Yoga, we’re hosting events every Friday! Check out some of the great happenings this month! Our first Friday is a fall fair!! Join in on the fun, get a chair massage, tarot reading and paint a pumpkin. 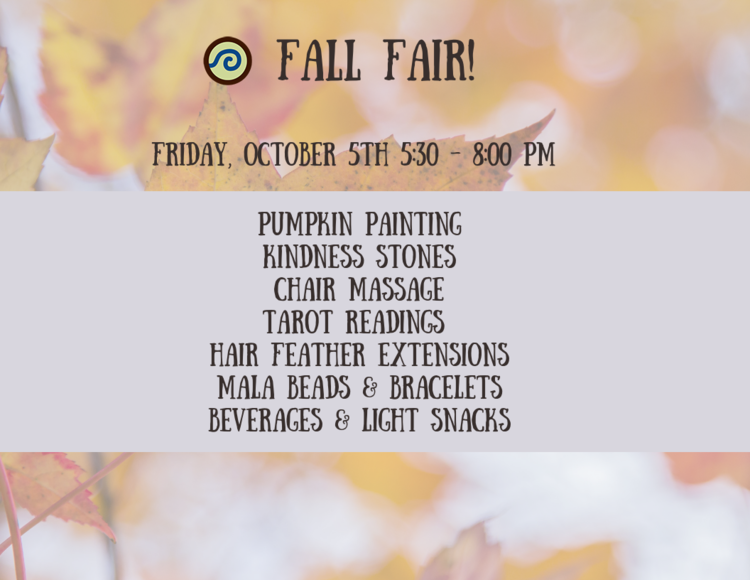 Buy some japa mala beads, paint a kindness stone, have a snack or get a hair extension! Fall 200-hour teacher teaching starts Sunday, October 7th! Learn more. Gloga! Yoga in the dark with glow sticks! Become certified in crystal healing during this 3-hour workshop! Check out our events page for more events in October!